So… it’s like a bounce house, right? Did you know bounce houses have been around nearly 60 years?! That’s quite a long time to not have a real alternative to choose from! 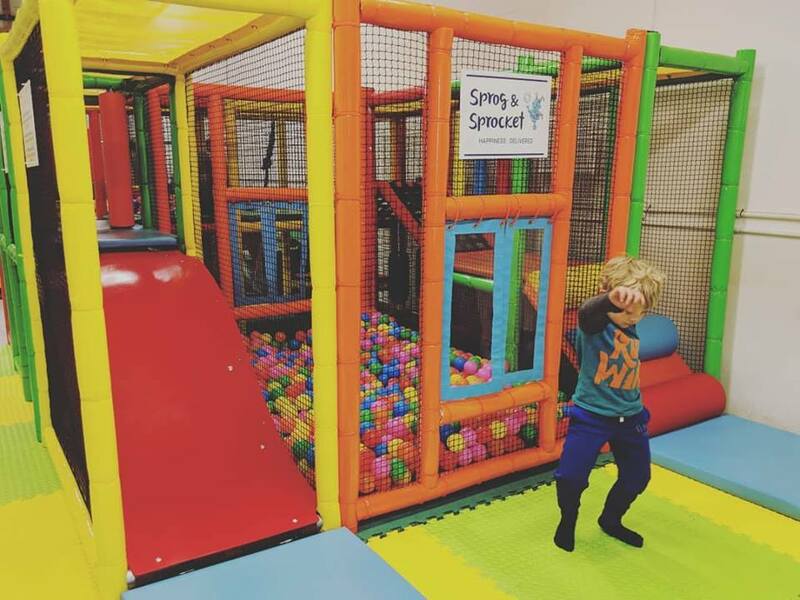 One question we get asked a lot when people haven’t seen any pictures of our Soft Play or Portable Playground is – “so is it like a bouncy castle rental?” It happens quite a bit! So we thought it would be a good idea to explain briefly why Sprog & Sprocket is different to a Calgary bounce house rental company. Whether it’s a bouncy castle, inflatable obstacle course, inflatable slide, moon bounce (whatever that is! ), they all need a noisy blower which also requires access to a power point (or a generator). You’ll also need a BIG space! Now, a bounce house is fun, don’t get us wrong – we love them too! have you ever seen 15-20 kids on one at the same time? If so, how safe did you feel watching them? Were the little ones able to play safely alongside the older ones? Were they able to bounce non-stop for 4 hours without tiring? What about children with a physical limitation or a delay in their physical development – a bounce house or inflatable generally excludes this group entirely! And if you haven’t yourself tried to climb up the side of a big bounce house you have probably witnessed someone else doing it! Something else to consider. What was the view like at the event? Did the inflatable take away from the aesthetics of the party venue? Let’s be honest, large inflatables aren’t exactly subtle! Our Portable Playground will safely allow up to 20 kids play! There are no noisy blowers! Our Portable Playground is on two levels but still fits in any standard height (8ft) room! There is no stop/start play like a bounce house, once the kids get playing, they’re entertained for hours on end with just minimal supervision needed. I hope this helps explain the major differences between our play equipment and more traditional bouncy castles and inflatables! Find more information about our Portable Playground HERE and information about our Toddler Soft Play Spaces HERE. If you have a party or a family friendly event coming up give us a call on 403 719 7776. We’ve already started booking up for Christmas 2018! Serving Calgary, Cochrane, Airdrie, Chestermere & Okotoks.